Add the quinoa, grapefruit juice, water, and honey to a small saucepan. Bring to boil, cover and simmer for about 15 minutes, or until the liquid is absorbed and the quinoa is tender (add more water if needed). Stir in the grapefruit segments and blueberries. 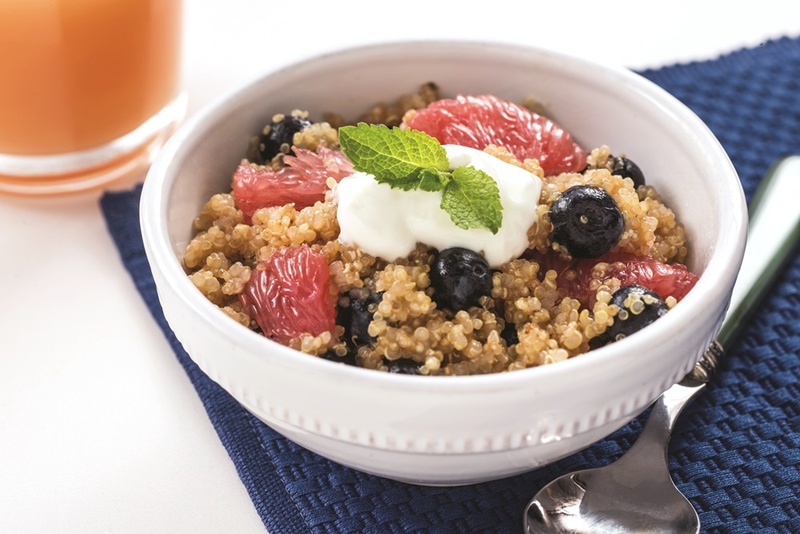 Divide the quiona breakfast between shallow bowls and top with the dairy-free yogurt. Garnish with mint to serve.